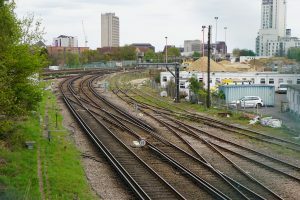 THE transformation of transport in Woking, including Guildford Road becoming a dual carriageway, faster train services and an extra platform at the railway station, has taken a step nearer to becoming reality. The key to the massive plans is a £75 million scheme to widen Victoria Arch, which would allow for the dualling of Guildford Road/Victoria Way, resolving one of the main pinch points for traffic in the town centre. The proposal is among four from Surrey that were moved to the final stages of consideration by the government last week. Woking Borough Council leader David Bittleston said that the scheme was the preferred pitch and had been given £1.5 million of government money to be worked up.